Our featured treasure for March is the herring life cycle display at the Natural History Centre. 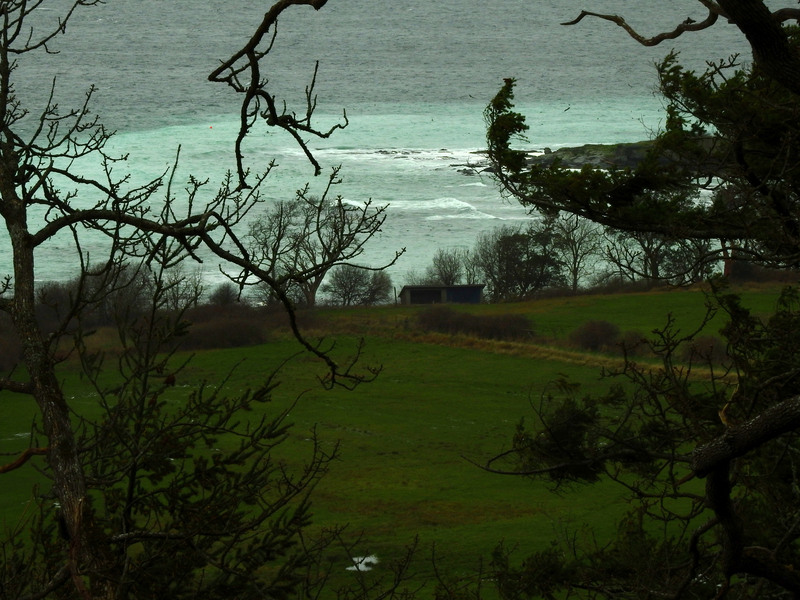 Each year the herring spawn turns the ocean a magnificent turquoise and announces that spring is around the corner. Birds and marine mammals are seen and heard lining the shores in anticipation of the bounty. Eagles soar from trees to fish the herring, while sea lions fill up on the feast, and gulls remain at the shoreline for days after the spawn. In celebration of this event that is fundamental to our marine ecosystem, the Herring Life Cycle Display is the featured treasure for the month of March. The display features videos of the spawn, life size replicas of the herring at each of their life stages, and an eagle carving by Hornby Island artist Glen Rabena. 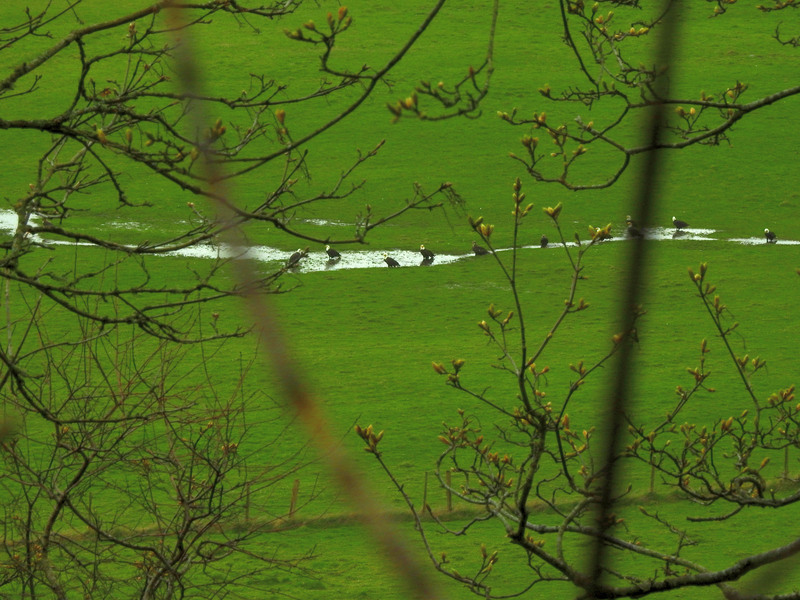 Eagles in a stream during the 2016 herring spawn. Photo by Barb Biagi. 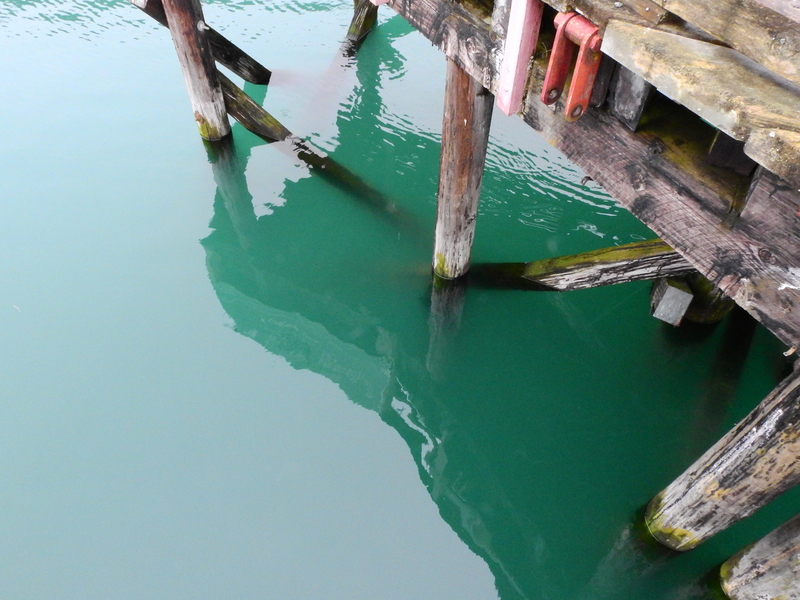 Turquoise water at the Ford Cove Marina during the 2016 herring spawn. Photo by Barb Biagi. 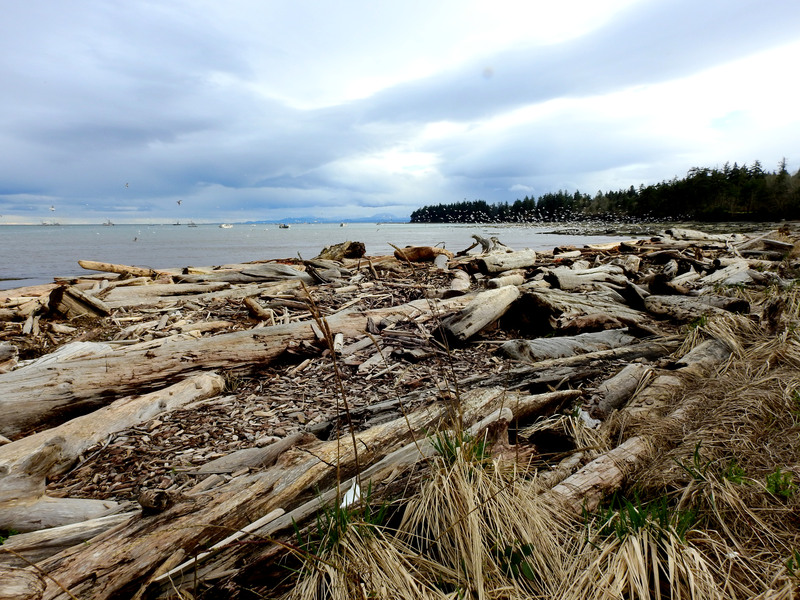 Little Tribune Bay during the 2016 herring spawn. Photo by Barb Biagi. View of the Olsen Farm during the 2016 Herring Spawn. Photo by Barb Biagi. ← Student Activity: What makes a good display?